It’s well known that drugs like cocaine and heroin come with extreme health risks. But knowing how likely you are to become addicted to one of them is a murky science. In reality, roughly 80-85% of people who try a substance — whether it’s alcohol or cocaine — will never become addicted. 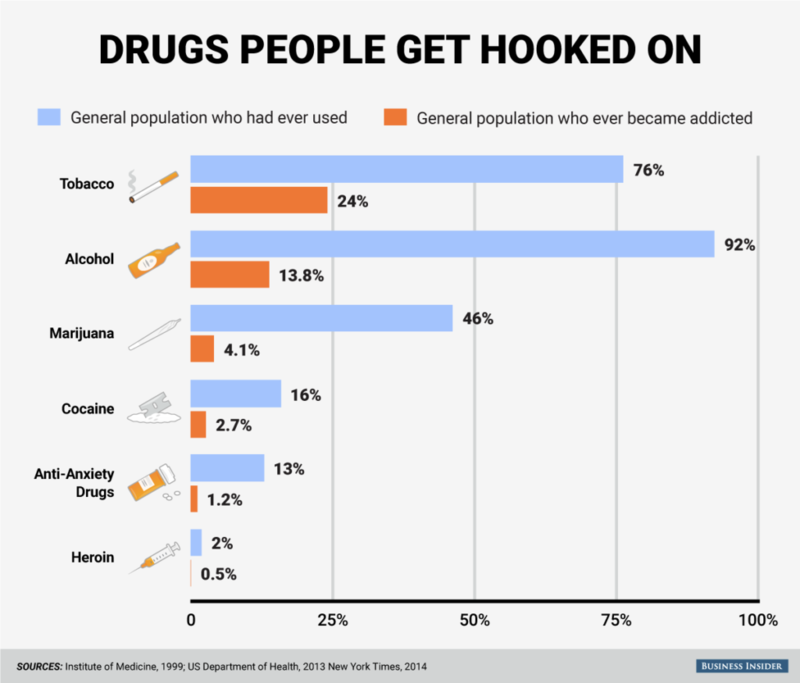 Unfortunately for the other 15-20%, the data we have on addiction is remarkably incomplete. Everything from the environment we’re raised in to the genes we inherit to the way those genes are expressed can shape our risk of addiction, which may even be unique to each drug.